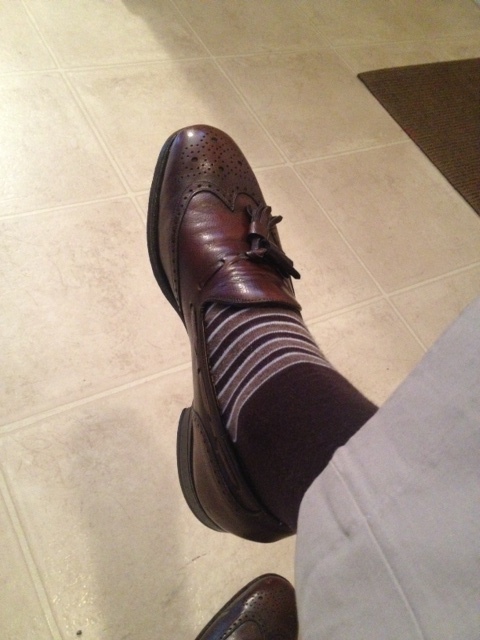 Brown wingtip loafers with tassels by Florsheim are a thrifting find. 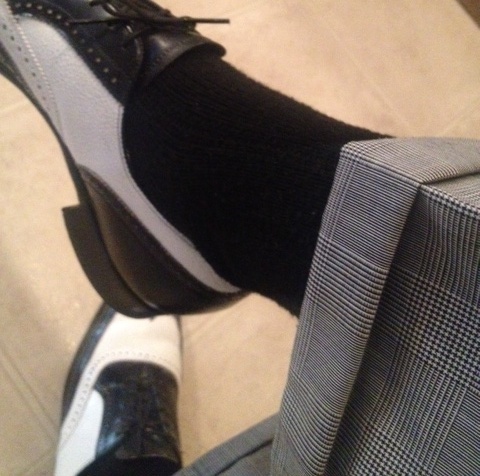 Socks are by Club Monaco. 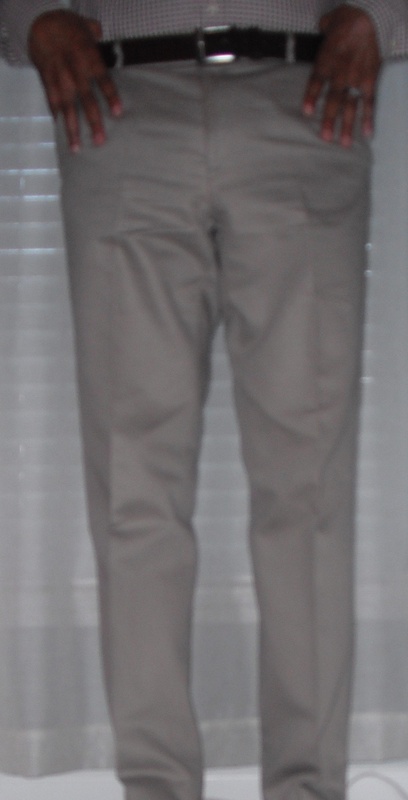 Khaki colored suit trousers are by Calvin Klein. 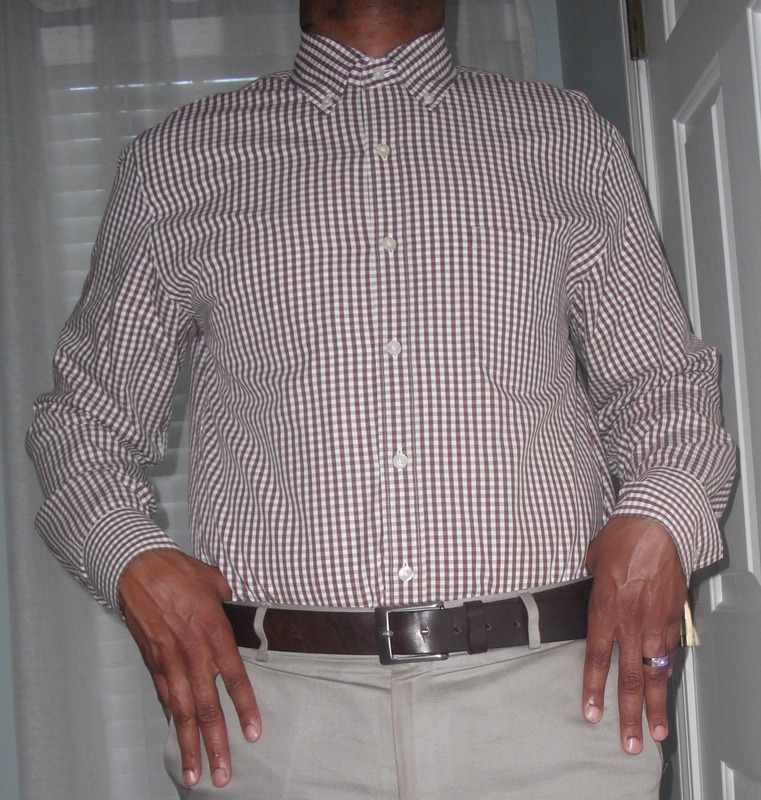 Chocolate gingham button down dress shirt by J.Crew is a thrifting find. 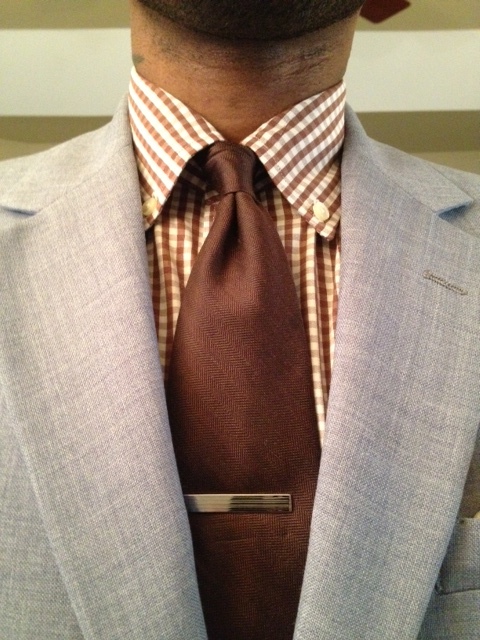 Chocolate neck tie is by Saks Fifth Avenue. 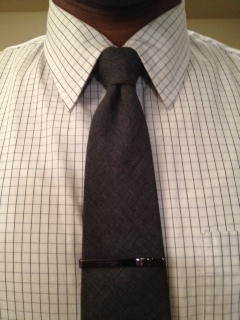 Silver tie bar is by Banana Republic. 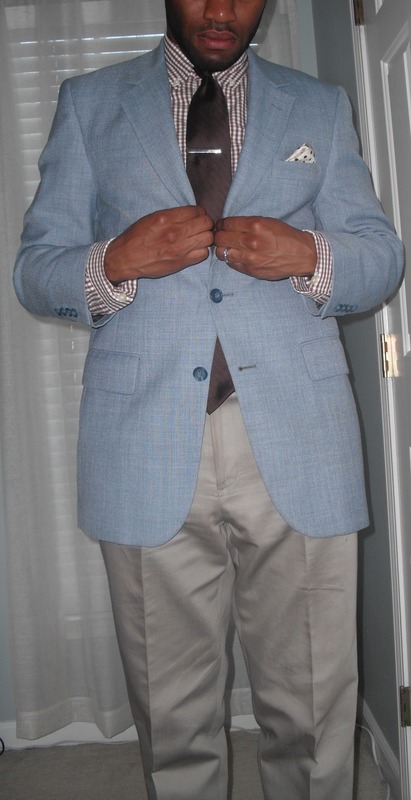 Baby blue sport coat that features notch lapels, rear center vent, flap pockets, two button closure, and partial lining is a thrifting find. 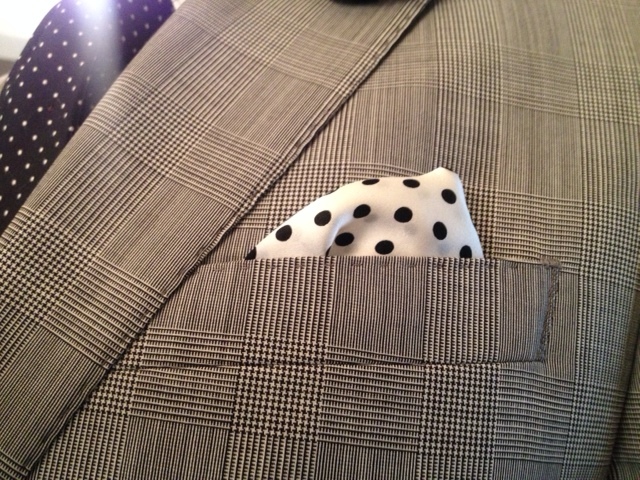 Silk polka dot “pocket square” is actually not a pocket square. 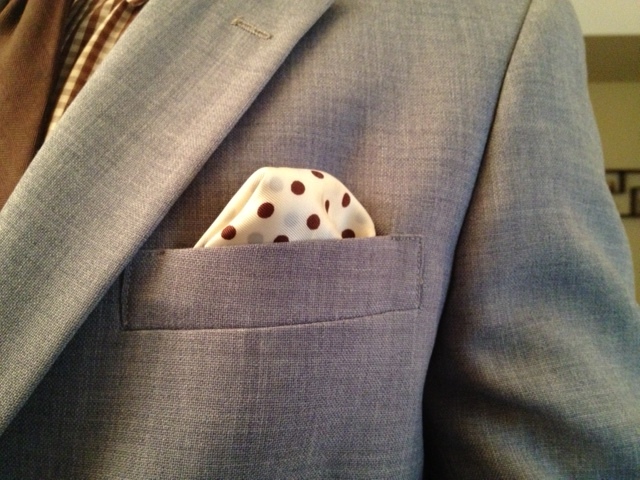 It is one of my wife’s silk head wraps…but it’s a pocket square today. 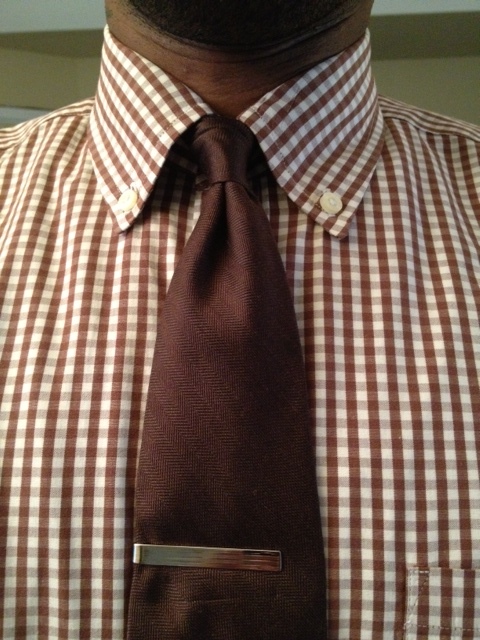 Thanks for the assist, Babydoll! 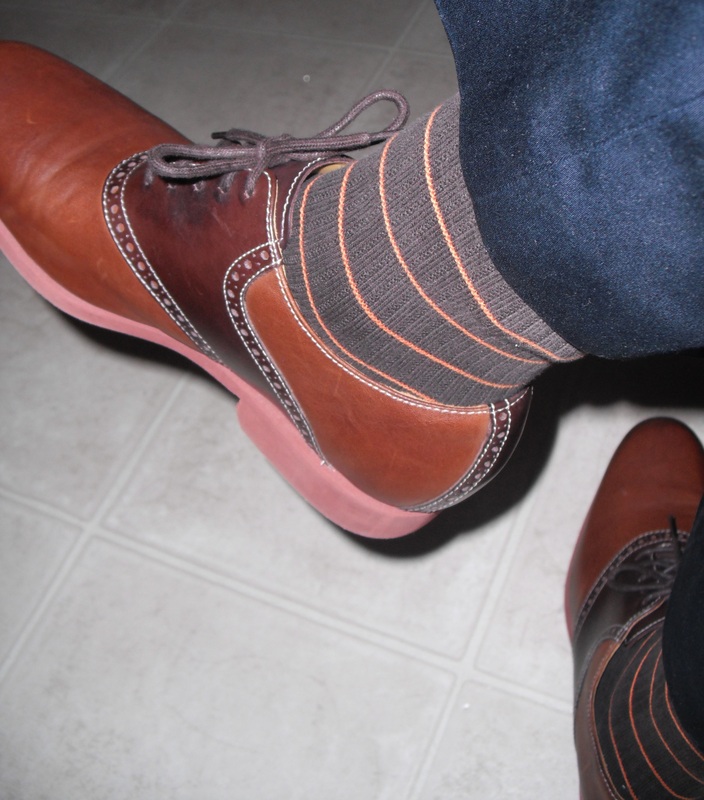 Brown leather saddle shoes from Cole Hahn. 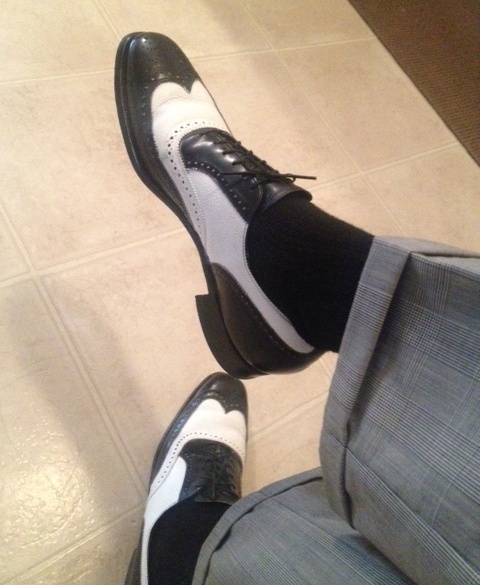 I own four pairs of saddle shoes and these are my only leather pair…and they are the only pair that I own that are not by Ralph Lauren. 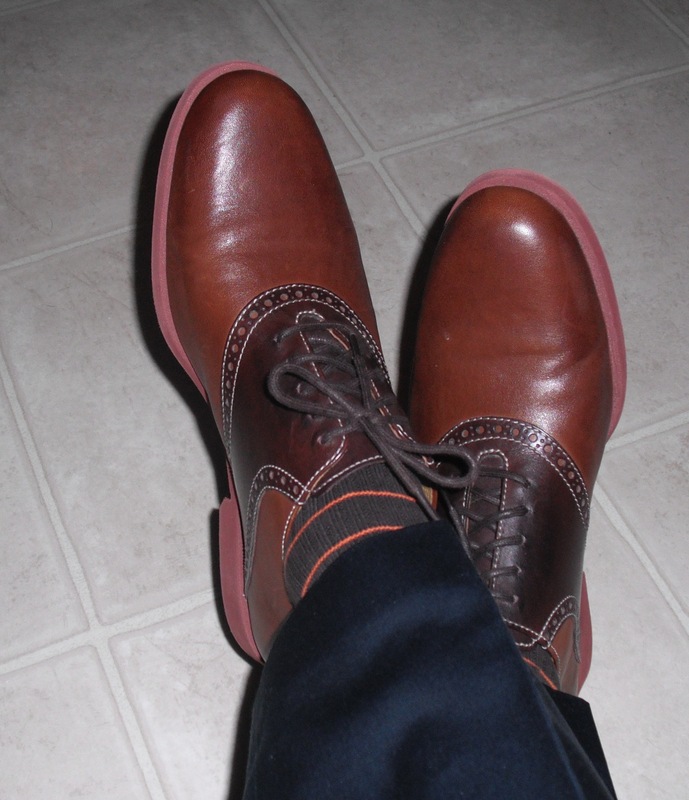 I love Ralph Lauren’s version of the saddle shoe…and Brooks Brothers offers a great version, as well. 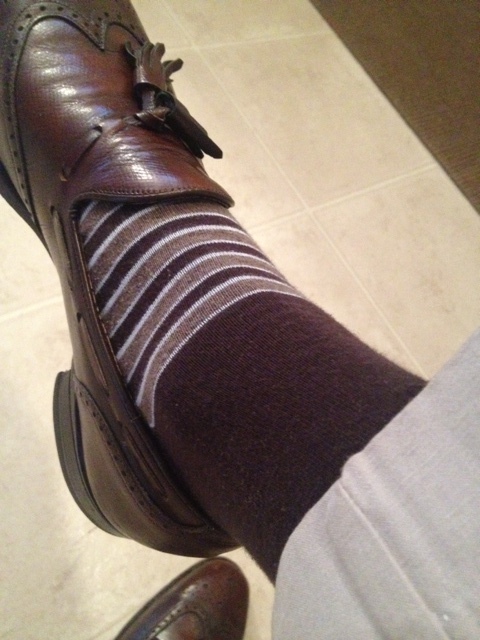 Brown socks with orange stripes are from The Gap. 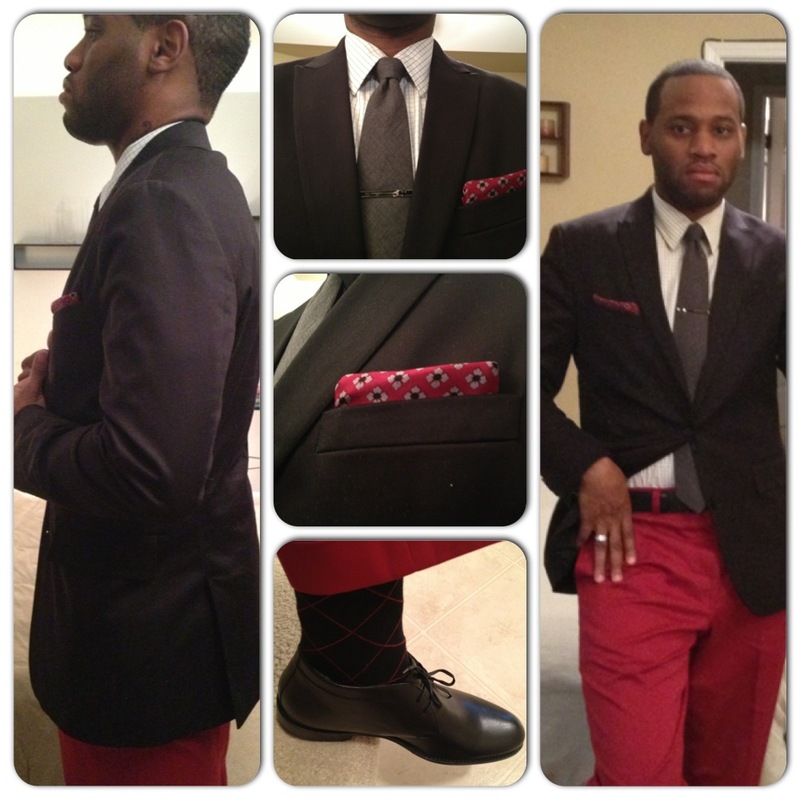 Navy blue trousers are by Perry Ellis. 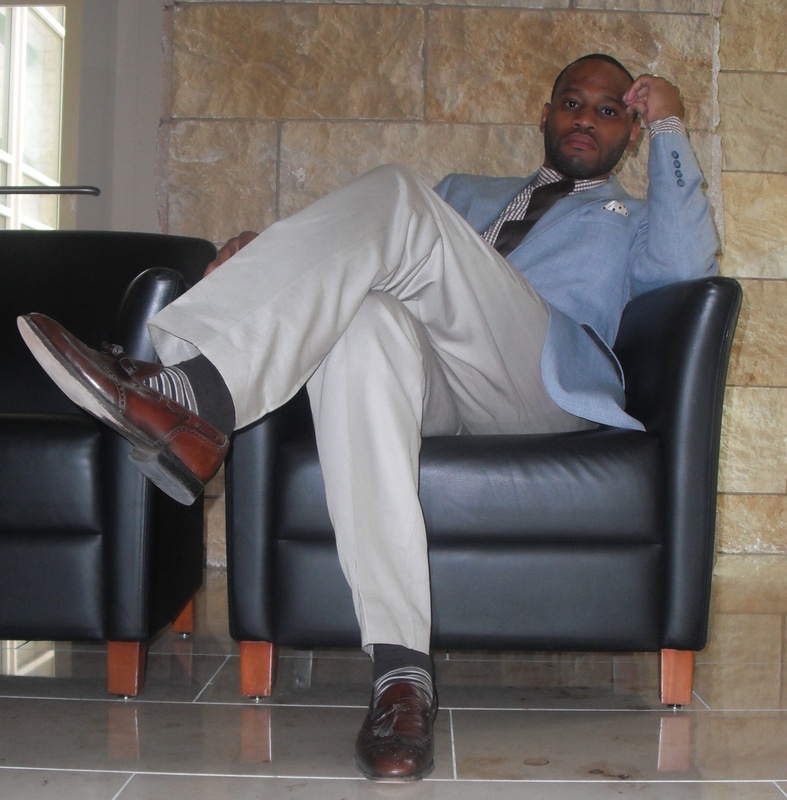 These pants are made from a thinner material and more suitable for warmer weather. 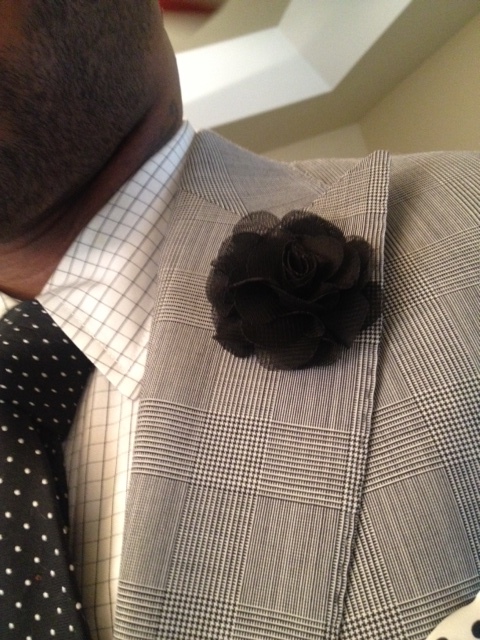 However, I added some thermal bottoms underneath to make them suitable for this cold weather. 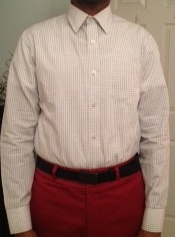 Something my mother taught me…how to wear your summer clothes in the winter. 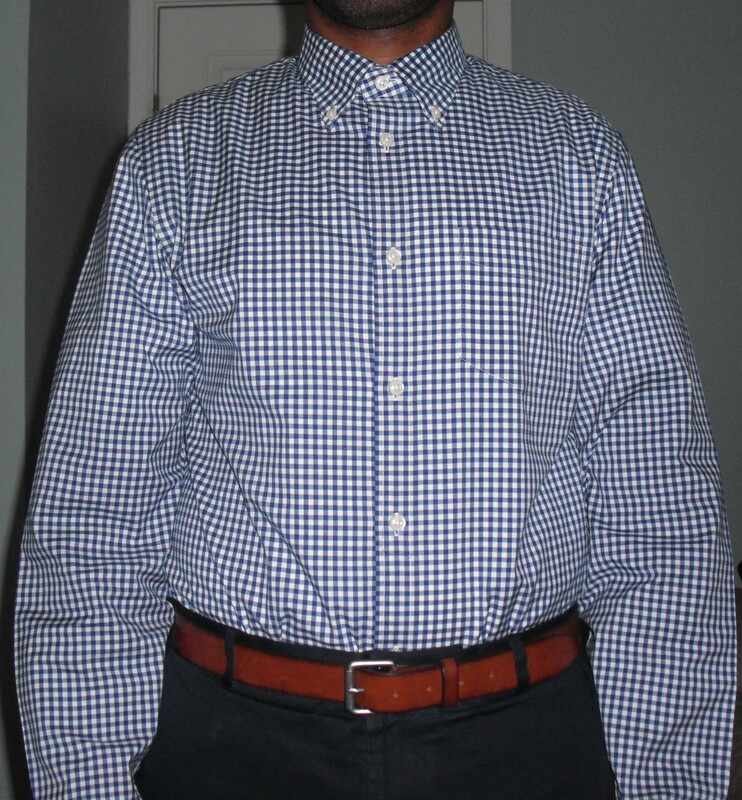 Navy blue gingham button down dress shirt by Club Monaco. 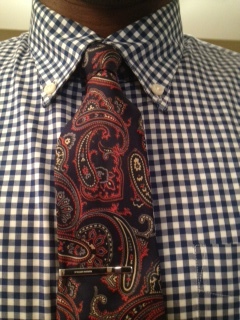 Paisley tie was a thrifting find and the tie bar is by Banana Republic. 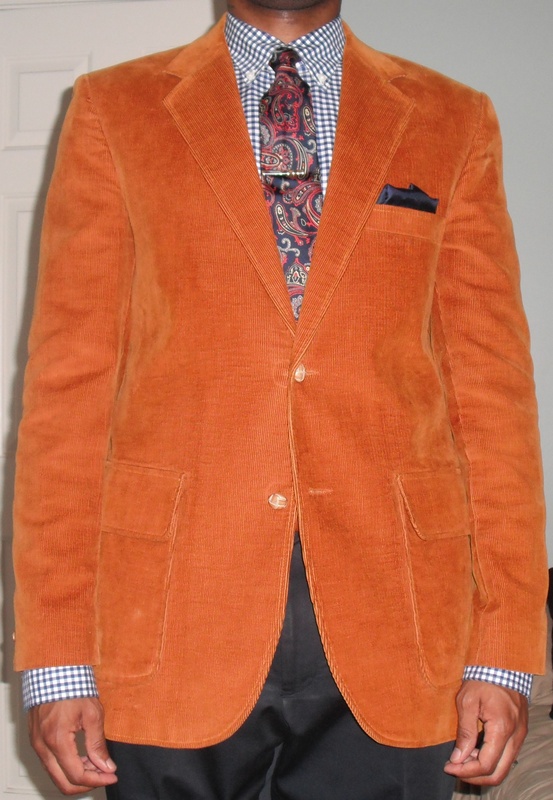 Burnt orange corduroy blazer, with notch lapels and center vent, was also a thrifting find. 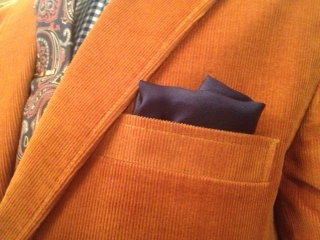 Navy blue silk pocket square, origin unknown. 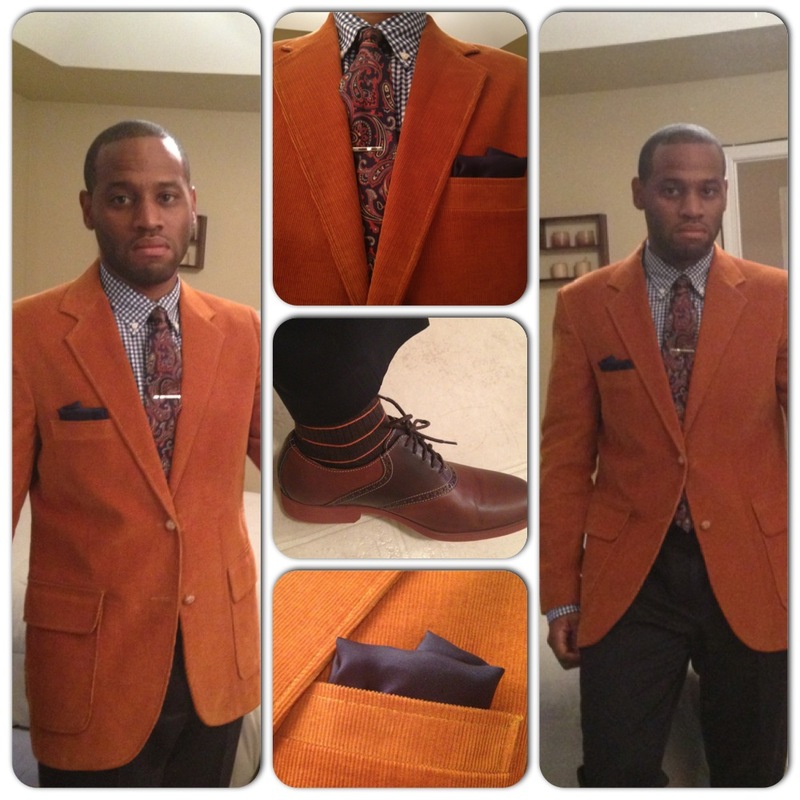 Today’s look offers more color…and more patterns. 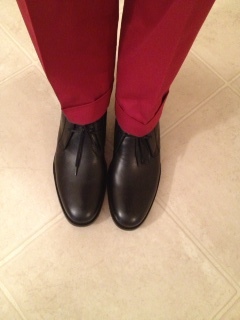 Black chucka boots by Banana Republic. 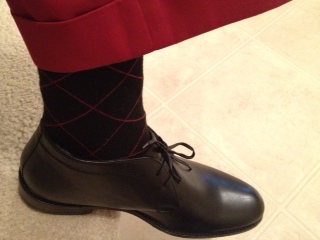 Black and cranberry argyle print socks by Banana Republic. 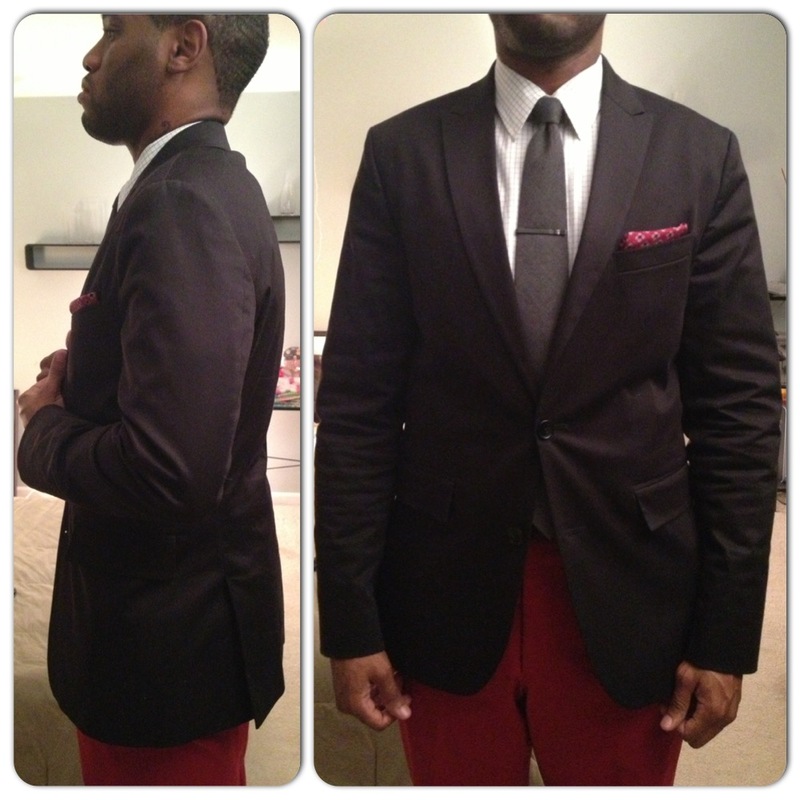 Cranberry trousers by Saks Fifth Avenue. 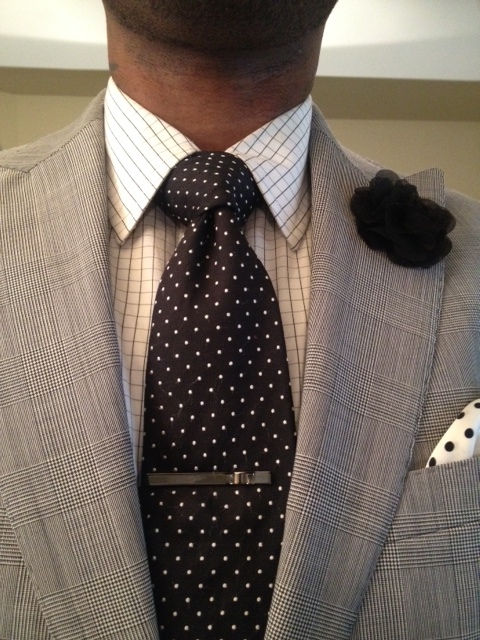 White and Black window pane dress shirt by Club Monaco. 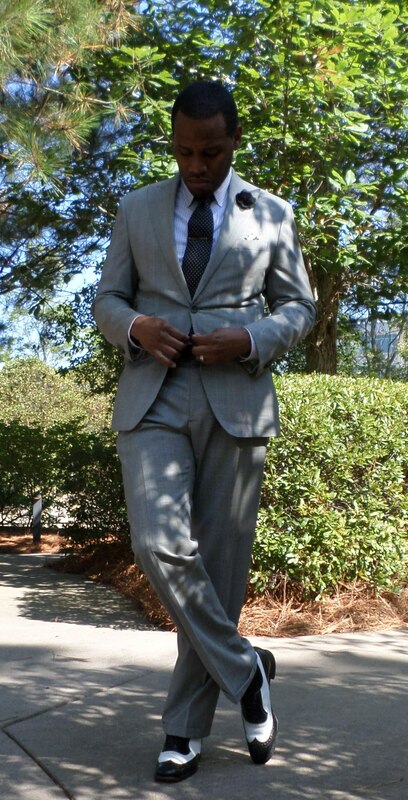 Grey necktie by J. 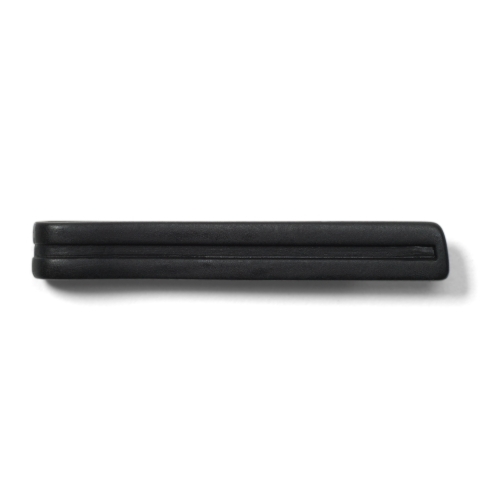 Crew and tie bar by Kenneth Cole. 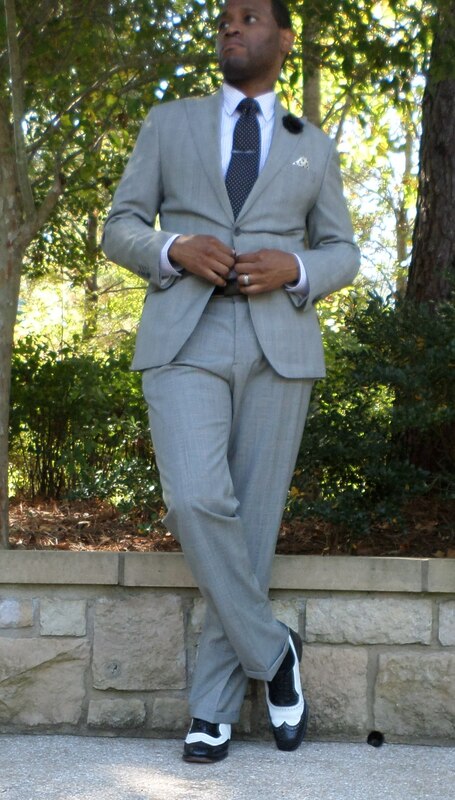 Black sports coat with narrow peak lapels and side vents by Calvin Klein. 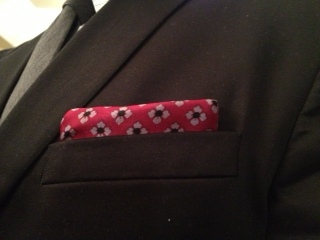 Silk cranberry floral print pocket square was a thrifting find.